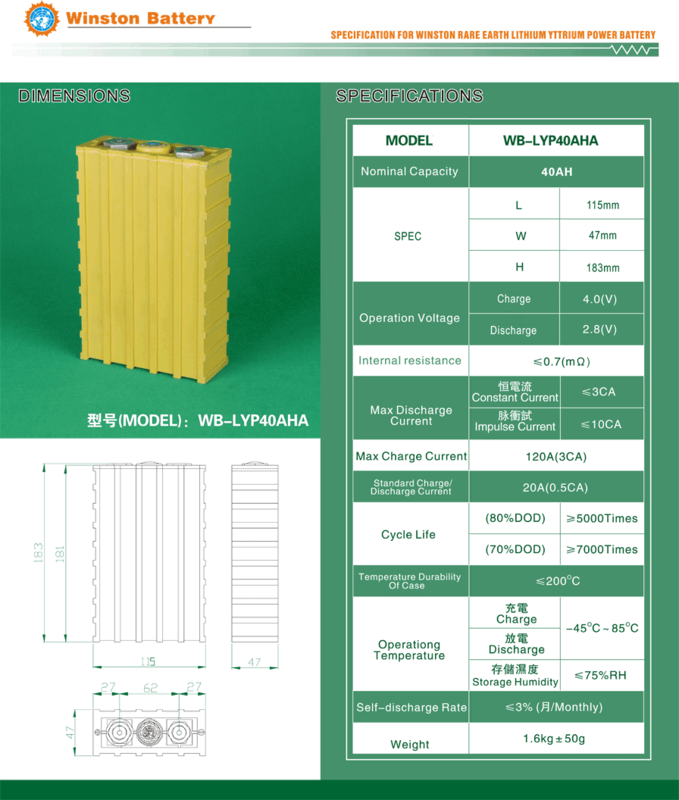 Winston Battery is rare earth lithium yttrium power battery which is one kind of LiFePO4(lithium iron phosphate battery). They are mainly applied into electric vehicles and electric boats and also into energy storage station system. 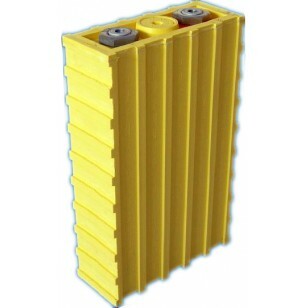 Their convenient accessaries(sell for options) can help you to build up your battery system more easily. 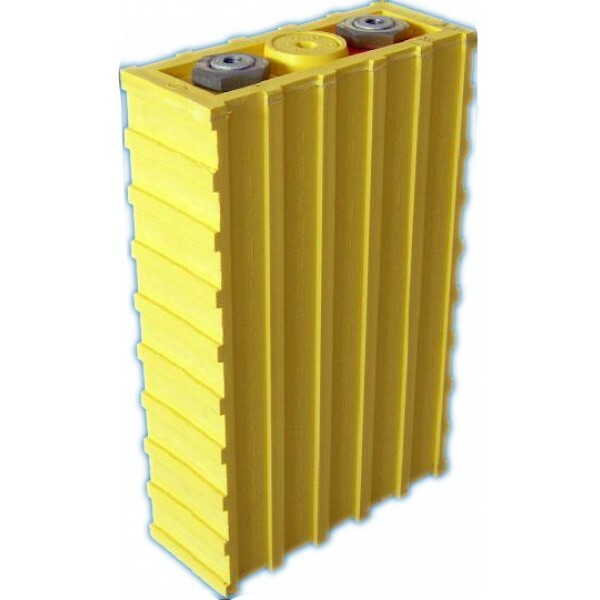 Because their quality has been known since 2007, they become one of the reiable and popular batteries during LiFePO4 battery users. 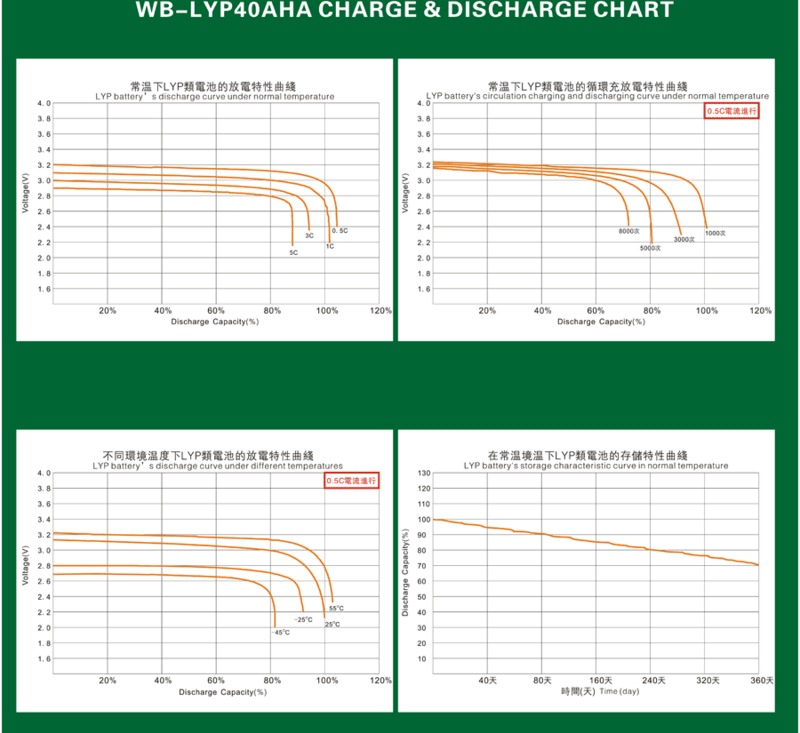 Winston LiFeYPO4(LiFePO4) can be charged by Constant Charge voltage from standard DC3.65V/cell to max DC4.0V/cell.